Ellicott’s Latin American Sales Man- ager, Andres Borasino, will be adding the Rohr-Idreco deep digging dredge product lines to his area of responsibil- ities. Andres has been with Ellicott for over four years, successfully expanding the brand throughout Latin America. 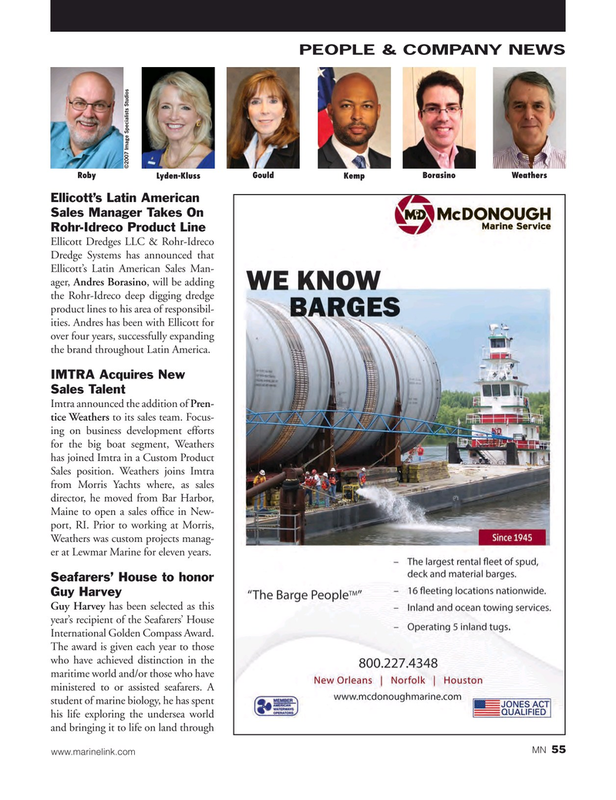 Weathers was custom projects manag- er at Lewmar Marine for eleven years.